For an all-around knife with a sleek combat inspired design, look no further than the Standard Survivor Knife. 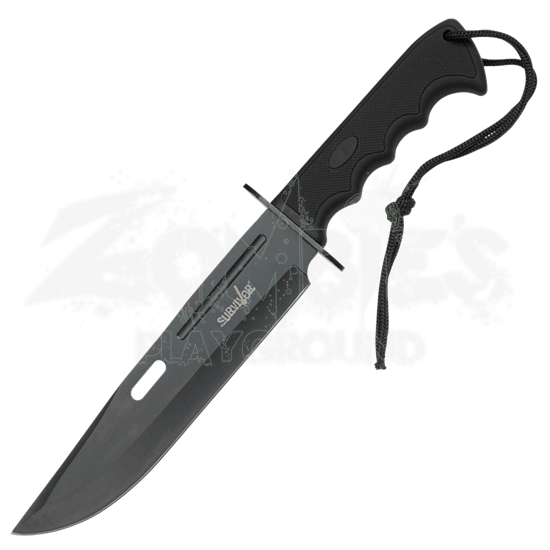 This stainless steel, drop point knife is a great knife for a piercing, slicing, and cutting. This knife can do it all. Its rubberized handle makes it easy to handle in any situation. 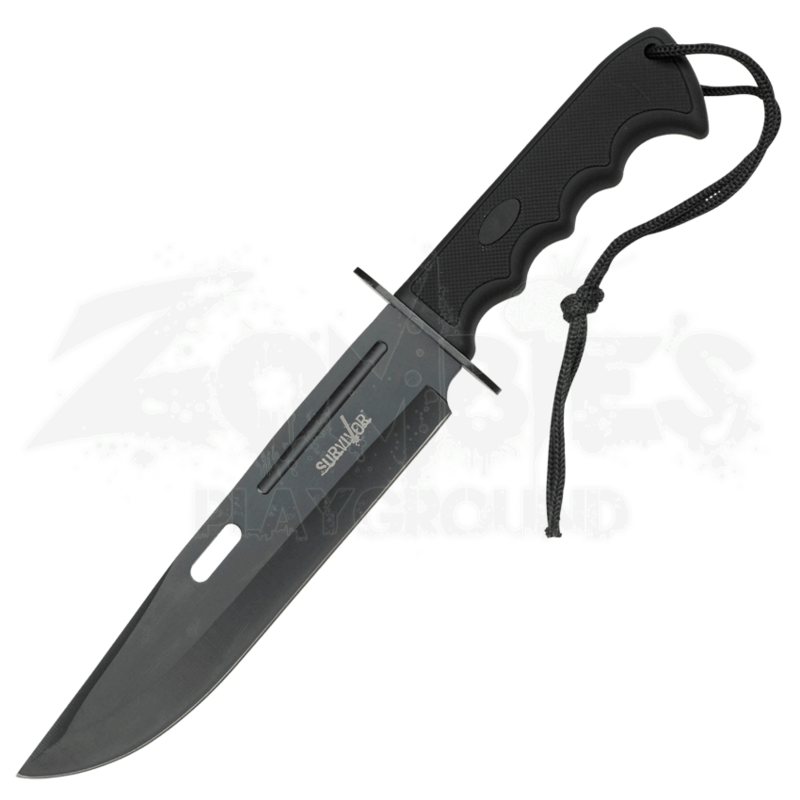 With the purchase of this knife you also receive a nylon sheath for easy carrying and safe storage. Standard Survivor Knife and never find yourself unprepared.